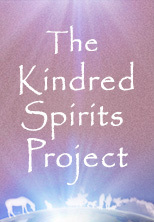 Is there a root question for kindred spirits? 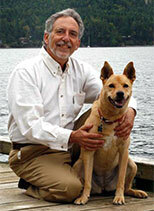 In the mid 1990’s, when I was one of the pioneers in integrating complementary and alternative veterinary medicine into conventional veterinary medicine, I was often confronted with a great deal of skepticism and criticism from veterinarians who either were just unaware of all the research and documentation of these modalities or chose for whatever reason to be extremely adversarial against them. As I was lamenting about the weariness of debating with some of these individuals who were really not interested in debate, but just proving that they were right and you were wrong, one wise friend of mine calmly suggested that perhaps we were asking the wrong questions. The details of these debates can be reviewed in the Textbook of “Complementary and Alternative Veterinary Medicine” edited by myself and Dr. Susan Wynn (see book section). I was momentarily startled by her suggestion, but then listened intently to her discussion. Her suggestion was that perhaps rather than debating about the quality and quantity of documentation, qualifications of various practitioners, the politics of it all, perhaps we should ask “What is best for the animals?” Though the question seemed so obvious and so appropriate, so often we end up in a corner, because another party is framing the debate in order to get to a certain end result or solution. Soon after that, I was invited to be on a committee to develop guidelines for Complementary and Alternative Veterinary Medicine (CAVM). Eight of the veterinarians were representing various fields of veterinary medicine, from small animals to large animals, from wild to domestic and exotic, from academia to veterinary practices, and from medicine to surgery. They were all quite reserved and skeptical to say the least. There were two veterinarians on the committee who were representing the field of CAVM, myself and one other. As we introduced ourselves to each other and stated our qualifications for being on the committee, who we were representing and what our perspectives were, I quickly realized how it seemed like the odds were completely stacked against developing guidelines that would be supportive of CAVM. Fortunately, I was the last person to introduce myself. In addition, to diverge for a moment, I had just completed a weeklong intensive in Aikido with John Denver’s bodyguard (yes, the folksinger had a bodyguard), Tom Crum. Tom had just written a fascinating book called “The Magic of Conflict”, which essentially took the philosophy of Aikido to verbal debate. Essentially, in its most basic form, one might briefly describe Aikido as the martial art of not fighting. Every evening after a long day of practice of Aikido, we would have discussions on the skills of verbal Aikido, the martial art of not fighting, with words and language. Perhaps this was one of the precursors to the approach of Nonviolent Communication. Now, back to that moment when I was in front of this committee and was asked to introduce myself and what my perspective was. After stating my background and qualifications, I suggested that even though the questions being asked were interesting and valid, perhaps there may be even a broader, more encompassing question that may embrace all the varied perspectives on developing new guidelines for CAVM. Perhaps, the base, root question should be “What is best for the animals under our care?” After all, that is part of the Hippocratic Oath that we take when we venture forth on the journey of being a veterinarian. There was dead silence for a few moments as they were all so taken back by that essential question. As faces rumpled up, brows raised and jaws dropped, there seemed to be a moment of cognitive dissonance. Interestingly enough though, one by one, smiles came to the faces of all these rather reserved, professional veterinarians and it seemed to touch them at their core, at their original desire in their hearts of why they chose to be veterinarians. By the end of the first day of our meetings, they had all agreed with great comraderie, that indeed, that should be the root question of all our discussions. Fortunately, by asking the right question, we were all able to develop respectful, balanced guidelines to assist veterinarians in the professional integration of CAVM into conventional veterinary medicine and it was for the best for all the animals under our care. Certainly, there were still some extremist skeptics with their own personal agenda’s that despite all discussion, would still choose to disagree with that point, but rarely is it possible to please everyone. 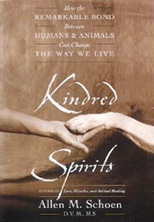 With that in mind, I invite all kindred spirits to ask themselves, if we are all working together to create a new, more compassionate society with the intention of it being for the benefit of all beings, what are the right questions to ask ourselves and others, as we make future decisions on how to be in this world. What if as we go about our daily responsibilities, chores, interactions with others at work, in school, at play, and everywhere in each and every moment, we ask ourselves if our choices are the best for the benefit of all beings. How would that look? What are your thoughts on this? If you have been or are asking this question in certain situations, how has it impacted on your choices and actions? How has it impacted on others? How has it impacted on your contributions to the future of a new, more compassionate 21st century? Thoughts?